A family of two professionals and their young boys requested a relaxed, sophisticated, contemporary sensibility that would fit seamlessly into a traditional Tudor home. Interior architectural elements include leaded glass windows, French doors and an oversized fireplace/mantle. 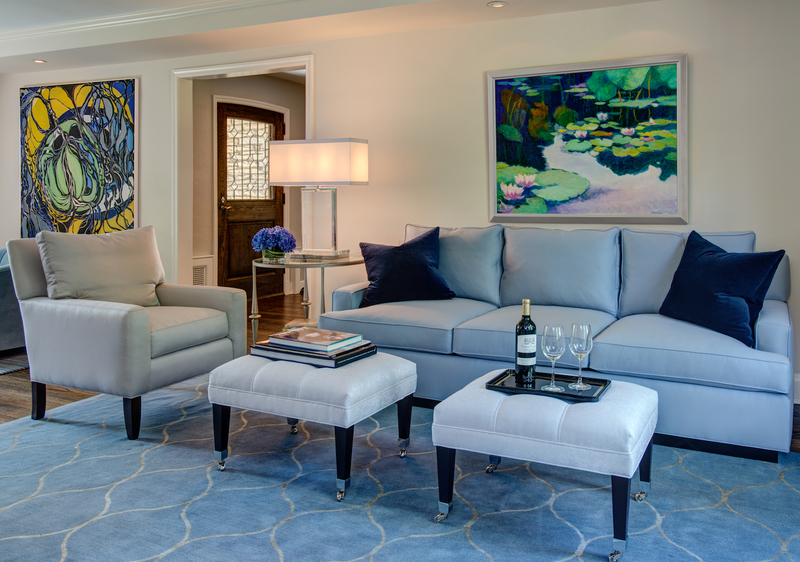 A muted color palette supports clients’ bold contemporary art.